modlandUSA: Want to Unlike Multiple Pages on Facebook? 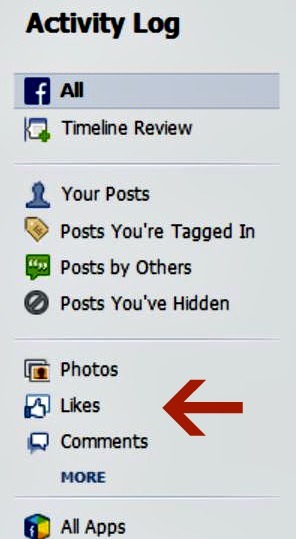 Want to Unlike Multiple Pages on Facebook? There used to be an easier way. You could go to a section of your profile where they were all listed without icons or any additional information and rapid fire zap them away. That option appears to be gone now; possibly because of all of the other changes with the newsfeed and everything else. The developers at Facebook have turned their attention elsewhere for now. Oh, the times they are a changin’! What to do? You could go to every single page, one by one, and unlike them that way. Oh, what a pain! The good news (hey, you knew I had to put a positive spin on this, right?) is that there is a slightly easier way. Click on activity log on the wall of your personal profile (it's near the bottom of your cover art) Using mine as an example here. Click "like" on the left side of the page. Then click pages and interests. Directly to the right you'll get a list, starting with the most recent page you liked and going back in time. And you thought I was going to show you all my likes, right? Nope! If you hover over the name on the left side a pop-up appears with the icon and cover art of the page. See near the bottom where it says "liked"? Hovering over that word gives you lots of options: Get Notifications, Show in News Feed, Settings, Add to Interest Lists, and Unlike. This is where you make the big choice! 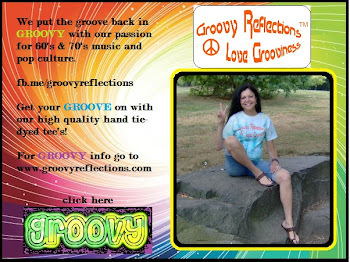 Note: In this example I'm hovering over the name of my sister page, Groovy Reflections. Rest assured that I won't be unliking that page! DO think about the implications of unliking a page: Does it belong to a friend of yours? Was it a "like for like" therefore you risk losing a "fan"? And yes, this is a time consuming endeavor. If you have hundreds of pages to rummage through, go through a small chunk to unlike or keep per day (maybe choose to show in news feed?). Spend about five to ten minutes so it's not too painful. Maybe Facebook will introduce a new way to maintain your liked pages eventually. One can only hope. On a brighter note, The Romantics "liked" you in their big hit tune (see below). 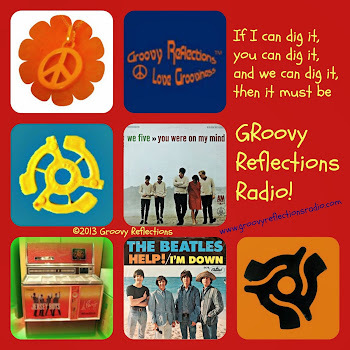 Feel free to "like" us and drop by our by our website, or say hello on Twitter, Facebook, or Google+. How about an "Unlike" or "Dislike" button? Facebook is evolving and not in a good way. Someone is going to see the mistakes they are making and start a new website that addresses these issues. That is the way of the world. Google+ already did challenge them. And there are plenty of start-up social networks out there; just reading up on a new one right now. There are different software and tools from which you can like or unlike different pages with easiness. You can also manage your account settings on Facebook from this forum can can unlike multiple pages. There is the form of technical translation which will help you better. It's very good to enhance your social circle on the Facebook. But we have to meet the people on the limited scale for the security purpose. To maintain academic writing for graduate students we have to follow the academic pages on the Facebook. You can also unlike multiple pages through different techniques. Facebook is the global use and it is really good to manage the competition on the Facebook. You might be a chance to work with the good company. I know explore more lots of the companies searching their employee on social media. So, you should manage your account properly.